The Star Quest Production Network (SQPN) welcomes the Jimmy Akin Podcast to its network of Affiliate productions. And wait till you hear his version of The Saint Song! Scripture, theology, morality, philosophy, apologetics, Church Fathers, liturgy, canon law. Just about any subject connected with the Catholic faith–or other faiths–is fair game. The answers are provided by Jimmy Akin, a best-selling Catholic author and speaker with nearly two decades of professional experience answering people’s faith questions. 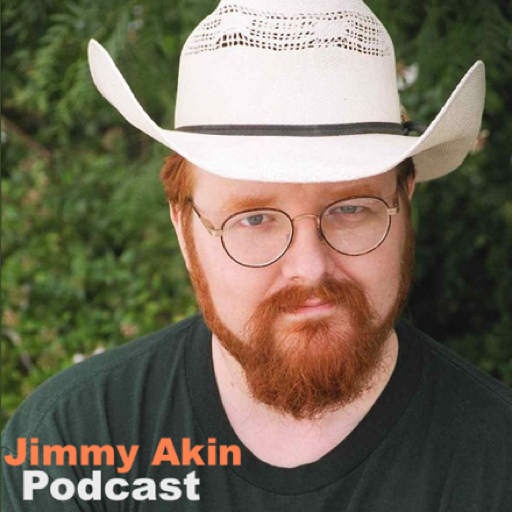 With humor, charity, and nerd-like precision, the Jimmy Akin Podcast takes on topics ranging from the core teachings of Christianity to little-known facts about the Bible and the Church to the Flying Spaghetti Monster and how it can be defeated. SQPN is excited to begin this association with Jimmy Akin. Jimmy is featured on the January 7, 2012 episode of Catholic Weekend. A listing of this and other Affiliate productions in the network can be found at SQPN.com. Akin is a Senior Apologist at Catholic Answers, a member on their Speakers Bureau, a weekly guest on the global radio program, Catholic Answers Live, and a contributing editor for Catholic Answers Magazine. His books include Mass Confusion, The Salvation Controversy, The Fathers Know Best, and Mass Revision. His personal blog is www.jimmyakin.org.